The George Fox baseball team is red hot and rolling after completing a three-game sweep of rival Linfield over the weekend. The Bruins (13-6, 10-2 Northwest Conference) are winners of nine straight games after three consecutive series sweeps in conference play. GFU beat Linfield 9-6 and 11-3 in a doubleheader on Saturday and 15-3 in a single game on Sunday. Its offensive firepower has been on display throughout the season and the series against the Wildcats was no different. Junior Matt Voelzke led the Bruins in game one with a four-for-five performance at the plate that included four RBI. In game two, he was two-for-five with two RBI and was supplemented by juniors Matt Ramirez, Sam Swenson and Jason Garcia – all of whom went two-for-four with two RBI apiece. Senior Colby Watilo's grand slam in game three was one of the highlights of the series. It cemented what ended up being a 12-run victory in front of the Bruins' home fans. Next up for the team is a single game against Whittier at 3 p.m. Wednesday in Newberg. After that, the Bruins take to the road for a three-game series this weekend at Whitworth. GFU softball had a successful trip to Tucson, even in the midst of a couple game cancellations. The Bruins (10-6, 4-3 NWC) went 6-1 in the Tucson Invitational, with the only loss coming 7-5 to Case Western Reserve on March 14. Games against Cornell on March 13 and Edgewood on March 16 were both cancelled due to weather. When they did play, though, GFU won games in different ways throughout the weeklong tourney. After the opening loss, GFU finished its trio of games on March 14 with a 7-1 win over St. Scholastica and a 19-5 drubbing of Mount Mary. Two days later, the Bruins picked up a 4-1 win over Central (Iowa) and beat Wisconsin-Platteville 13-3 in five innings. On Sunday, GFU won 6-5 over Wisconsin-La Crosse and 6-2 over Augsburg – returning to Oregon on a high note with a four-game series at Linfield on tap this Saturday and Sunday. 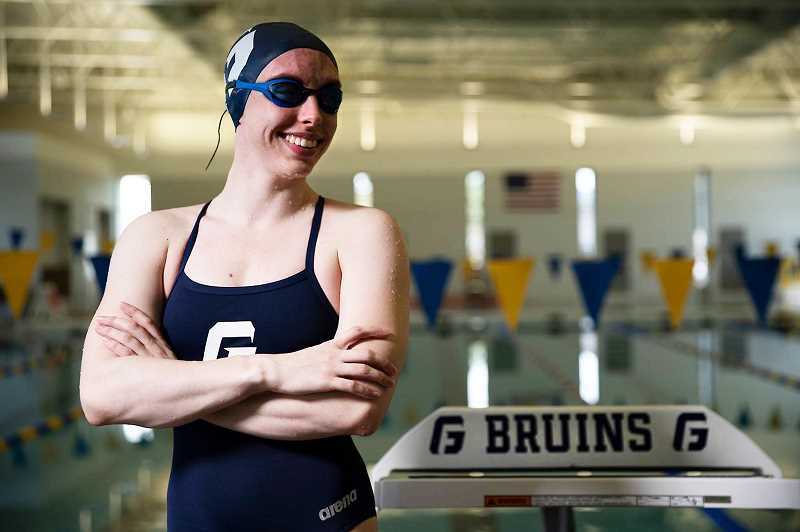 Sophomore Aspen Monkhouse will be the GFU swim program's first-ever representative at the Division III NCAA championships on Wednesday. She will compete in the women's 50-yard free, with trials starting around 7 a.m. and finals beginning at 3 p.m.